Voltage-dependent calcium channels in the cell membrane play important roles in cellular excitation related to rhythmic firing, synaptic transmission, muscle contraction and secretion (1–3). 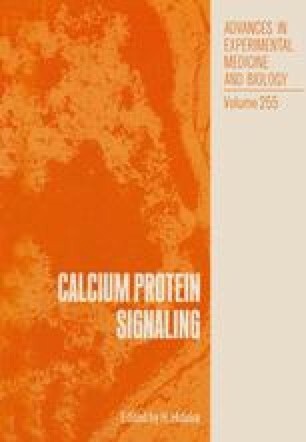 It is known that neural and hormonal signals modulate activities of L- and N-type Ca2+ channels by mechanisms involving protein phosphorylation or coupling of GTP-binding proteins to the channel molecules (3–5). In most electrophysiological studies, Ca2+-channel currents were isolated from other membrane currents by replacing the cytoplasm with a simple solution using cell dialysis method or by single-channel recording using patch clamp technique. It has, however, been noticed, since pioneering work by Kostyuk and collaborators (6), that Ca2+ current becomes labile and diminished progressively when the intracellular side of the membrane is perfused with an artificial solution. Such a loss of channel activity during intercellular dialysis in whole-cell clamp or in cell-free patches is referred to as ‘run-down’ or ‘wash-out’ (1,6–8). Since L- and N- but not T-type Ca2+ channels are subject to run-down, it has been suggested that the rundown of Ca2+ channel may result from disturbance of cellular metabolism or of some regulatory mechanism of the Ca2+ channels (7–13). Thus, possible mechanisms of the run-down are 1) dephosphorylation of channel protein due to loss of protein kinases or activation of appropriate protein phosphatases; 2) proteolysis of channel molecule by activation of intrinsic proteases; 3) decoupling of GTP-binding protein from the channel; and 4) loss of other cytoplasmic factor(s) required for the channel activity.